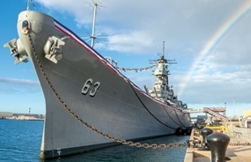 On May 4th 1998, ownership of the USS Missouri was transferred from the US Navy to the Association through donation contract #N00024-98-C-0201. The ship was towed from Bremerton Washington to Hawaii, arriving June 21st 1998. The ship was opened to the public on January 29th 1999 after six months of repair and restoration. 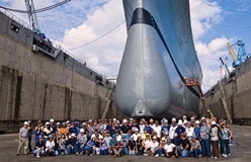 The Association receives no funding from either the U.S. Navy or any other governmental agency for the operations or ongoing maintenance of the ship. 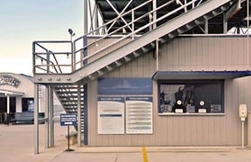 Department of Defense grants assisted us in funding the drydock in 2009. 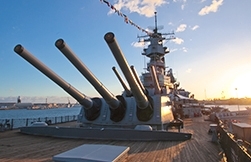 The mission of the Association is: "The USS Missouri Memorial Association is dedicated to preserving the Battleship Missouri and sharing her story and place in history." The vision of the Association is: "The Battleship Missouri Memorial is a world class experience that inspires, educates and motivates all nationalities and generations on the universal values of duty, honor, strength, resolve, sacrifice and peace."